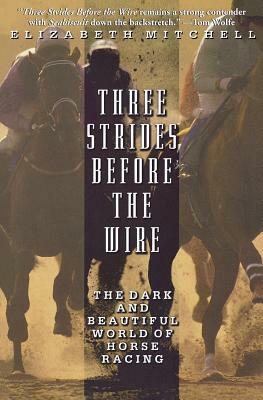 Now in paperback, reporter Elizabeth Mitchell introduces her readers to the mysterious, mercurial world of horse racing in a book that's as fast-paced and colorful as a day at the track. Focusing on the 1999 Derby winner Charismatic, Mitchell traces this horse's amazing and ultimately tragic story, from the birth of a foal through its surprising rise to fame. Mitchell also follows the major players in Charismatic's life, including the family who bred him, the trainer, the owners, and the famed jockey Chris Antley, whose own story is more tragic than that of his horse. Through these interlocking stories a sense of familiarity with the key players in the industry evolves, as well as a greater understanding of the heart and soul of a sport that has fascinated human beings for centuries. Elizabeth Mitchell is the author of W: Revenge of the Bush Dynasty. She was formerly the executive editor of George magazine and features editor of SPIN magazine. She lives in New York City.